At The Law Offices of John Della Rocca in Philadelphia, Pennsylvania, we know that an expungement or pardon of a criminal conviction can mean the difference between our clients obtaining meaningful employment or not in an already difficult job market. Since more and more employers in the greater Philadelphia area conduct criminal background checks of potential employees, we consider it our duty and privilege to help our clients clear their record so they can move on with their lives. In addition, our law office takes on traffic tickets and crimes affecting college students whether prosecuted in the municipal and state courts of either Pennsylvania or New Jersey or before the U.S. District Courts for the Middle District of Pennsylvania and the District of New Jersey. 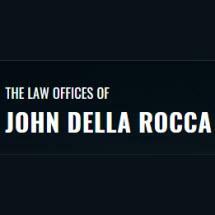 The Law Offices of John Della Rocca offers free initial consultations, and we accept all major credit cards in payment of our reasonable and competitive legal fees.